S1’s triptych of exhibitions marking the Bauhaus centenary draws to a close with Radical Materials, examining the prolonged influence of the Bauhaus on artistic experimentation. While the first instalment explored pattern and its disruption, and the second looked at the effect of physical discipline on creativity, this final show – featuring the work of Emily Musgrave, Joseph Cutts, and a collaboration between Peter Martin and Jon Cannon – considers the importance of the workshop to artistic practice and how raw materials can be reinvented to make a statement about the world we live in. Musgrave is highly process-driven, testing materials repeatedly until she arrives at the desired result. Each work gives the impression of being only one of many incarnations. She has contributed two pieces to this show, ‘Shift Work’ and ‘Control’, both of which are ostensibly paintings, but with a markedly sculptural quality. 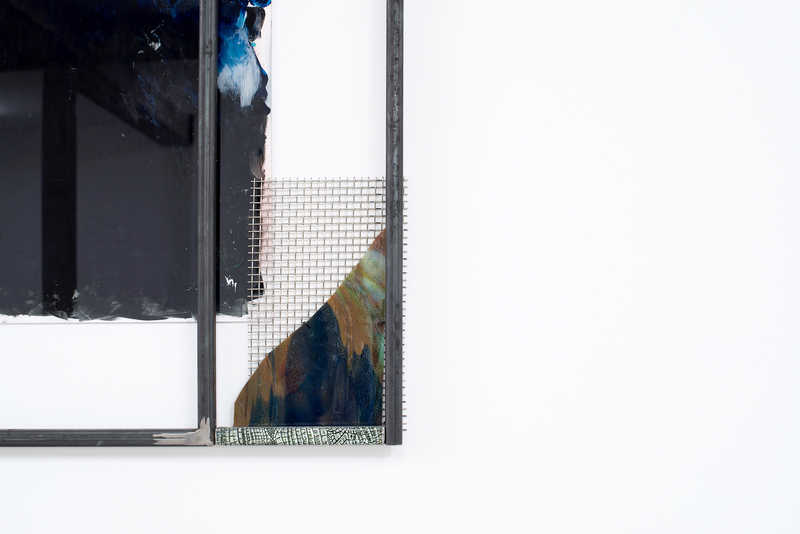 ‘Control’ is composed of a steel frame surrounding a large panel of glass which is obscured by layers of dark paint, as if an element of the work had been scrubbed from view. In the top corner, a broken piece of glass has been nailed into place and beneath it a swatch of steel mesh. Its partner piece ‘Shift Work’ also uses steel bars as a framing device, but the effect in this case is delicate, with pastel and silver accents, and thin flakes of glass rather than jagged shards. It is striking to see two works manipulate the same materials to such different ends. Musgrave’s attraction to such assemblages is intrinsically bound up with labour; she often selecting abandoned fragments of industrial goods and then puts them through a process of destruction and reassembly. Her work has a mutable quality, embodying the Bauhaus ethos of experimenting with the properties of different materials in the attempt to develop an ideal form. Despite the caging effect of the steel frames, these actually make the final pieces seem unconstrained, emphasising the bold use of space within the apparatus, as well as the contrast of textures. Construction House Radical Materials, S1 Artspace, 2019. Photo by Reuben James Brown. Equally labour intensive are the techniques featured in Joseph Cutts’ ‘Configure Crude Complexities’, a pair of short films observing industrial engineering processes in fine detail. Filmed largely at Sheffield Forgemasters, the vignettes feel unexpectedly ethereal, with their palette of viscous orange and effulgent blues. Watching the raw materials drip and smoulder, it seems incongruous that these otherworldly, amorphous forms have a clearly defined function, an afterlife in which, having been hammered about for a bit, they will ultimately metamorphose into useful objects. In their original state, though, they appear to resist the rigour and order of mass-production and exhibit a sensuality not typically associated with machining. The camera lingers suggestively on a cast of drills and flanges, ribbons of metal pinging to the ground, white-hot bolts of ore perspiring in a furnace, before panning softly over molten metal and bubbles of glass being blown into larvae-like orbs. While Cutts’ video works showcase materials at their most abstract and enigmatic, they are nevertheless rooted within industrial processes that have been tried, tested and perfected over generations. By choosing to focus on bespoke industries, Cutts echoes Bauhaus anxieties about the anonymity of large-scale manufacturing processes, seeking instead to pay tribute to craftsmanship and practical skills honed over time. This is workshopping in its purest form, a snapshot of the odd alchemy that takes place as one material transitions into another. Peter Martin and Jon Cannon take on a material that is much harder to quantify: social media. ‘Night Screen’ is their invitation to Twitter, Facebook and Instagram to take a radical step and release their subscribers from the slavish pursuit of content – at least between the hours of 11pm and 7am. To help Mark Zuckerberg with the detail, the artists have designed alternative landing pages to go live during the shutdown, displayed across three large monitors. Try to access your account late at night and you’ll be taken to slow footage of a record playing, a log fire, harpist, or a long, tranquil bus ride through Sheffield city centre. This content is orchestrated to soothe the user, encouraging them to withdraw from mindless interactions or the compulsive, fruitless checking of notifications. Serenely prohibitive, the pages are a nod to an era before rolling content, when television test cards told viewers when to call it a night. Yet even the orientation of these screens shows how decisively expectations have shifted since smartphones: somehow a vertical TV now looks totally natural. On a more sinister level, even the language we use to talk about the internet has undergone a shift: where once it was a landscape supposedly teeming with pioneering spirits and new frontiers to be crossed, we now frame it in terms of addiction, obligation and being held captive. ‘Night Screen’ suggests that for all its pervasiveness, social media is nonetheless a material that can be sculpted and reshaped. It can itself be manipulated, rather than simply manipulating the habits of the user. No doubt if this programme of enforced downtime were to be adopted, people wouldn’t recognise it as freedom but as censorship, a door to the outside world clanging shut. But what a reassuring prospect: every day’s Twitter pile-ons being wrapped up with birdsong and a cheery “That’s all for today!”. Alongside new commissions by the four featured artists, S1 has also loaned older works, ‘Desk set (red)’ (c.1930) and ‘Paper tray (black)’ (c.1935) by Bauhaus alumnus Marianne Brandt, a number of design prototypes for household objects produced in metal workshops in collaboration with László Moholy-Nagy. These serve to foreground the exhibition both in terms of the Bauhaus emphasis on production techniques, and as a reference to its enduring focus upon utilitarian design principles. Such archival details have been a real strength of the Construction House programme, which has continually cross-referenced the multidisciplinary approach of Bauhaus artists without suffocating the new works on show. Equally worthy of note are the workshops and events which have accompanied each exhibition, inviting visitors to consider more deeply the themes raised by the artists and to engage directly with the principles they have adopted, rather than simply observe the installations. 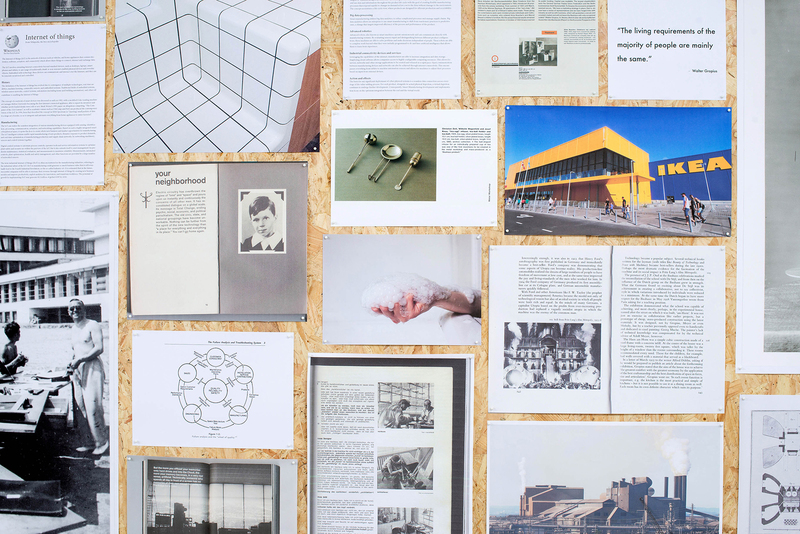 When S1 first announced its programme to mark the Bauhaus centenary, it hoped to address the question of whether methods proposed by a design school one hundred years ago could still be useful for artists examining society and technology today. The response from artists is strongly affirmative, with Bauhaus theories and methodologies not merely acting as prototypes for artistic activity, but as springboards to illuminate and enhance individual practice. As the series concludes, it seems fitting to shift focus to the workshop environment, and unpick some of the processes through which these original ideas took shape. 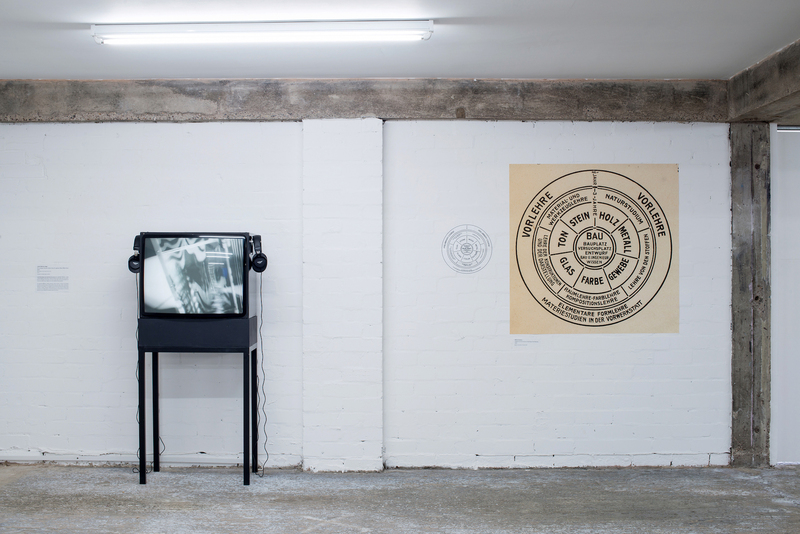 Construction House: Radical Materials is on at S1 Artspace until 20 April 2019.